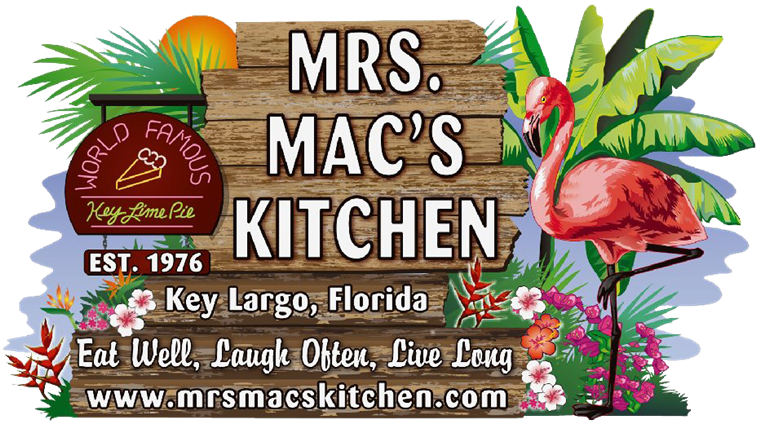 Known as the Very Best Chili in the Keys! It's nice & spicy and made fresh every day. Real conch in a rich tomato base, spicy hot, made fresh & delicious. Grilled fresh fish topped with our homemade TIJUANA sauce, stewed from tomatoes, tomatillos and jalapenos with fresh cilantro & onion. Grilled fresh fish topped with marinated onions, Cheddar Jack cheese & chili relleno sauce. Blackened fresh fish topped with fresh Pico De Gallo, Cheddar Jack cheese & guacamole. Two cakes loaded with all real crab, seasoned just right & grilled to perfection. Served with our own honey mustard sauce, cottage fries & slaw. A special cut of steak marinated in our famous chimichurri sauce & char grilled. We suggest cooking temperature of medium rare to medium. Our #1 selling steak. Served with black beans and rice. Dressings: Our House Garlic & Herb Vinaigrette, Ranch, Thousand Island, Blue Cheese, Honey Mustard or Caesar. Fresh Fish of the Day straight from the docks prepared your way atop our traditional Caesar salad. On a salad plate grilled or blackened. Sushi quality placed on a large fresh spinach & romaine garden salad with veggies along side, choice of dressing. Other fresh Fish available in place of Tuna. Our famous steak on top of fresh spinach & romaine along with veggies. Served with its own special dressing. Homemade Bahamian style, that means spicy, on top of lettuce served with crackers. See Famous House Favorites menu page. Posted on the Daily Special Board. Always made fresh! Always good! Fritos chips topped with chili, cheese, onions, lettuce, tomato & our own "Special Sauce." Tender strips of chicken breasts, lightly breaded, seasoned & fried golden. Served with Ranch dip. We do 'em one way. Served with Blue Cheese dressing. Smothered in our homemade chili & topped with melted cheese. Smothered in our own Pizza sauce. Topped with crumbled bacon & Cheddar Jack cheese with Ranch along side. Your choice of mushrooms, cauliflower, zucchini, corn nuggets or all assorted. Served with our Ranch dip. A generous portion of golden-fried Mozzarella served with our own Pizza Sauce. Lightly seasoned Cajun style with our sweet Pepper sauce. Fresh & lightly dusted then flash fried. (When Available) English style battered & fried. Freshly ground conch mixed into a delicious Bahamian style salad that means spicy, served over lettuce in a bowl with crackers alongside. Two fresh cakes grilled just right. Served with our Honey Mustard sauce. Smooth, spreadable Wahoo & Mahi-Mahi smoked just right. Served with black beans & Rice. Sides: Ruffles, Cottage fries, potato salad or slaw. Substitute salad add $2.09. *Fries in the basket & beans and rice on the plates may be substituted for a different side. (When Available) With side & salad, Daily caught, scored & deep fried. Fresh Tomato, herb, garlic & wine sauce. English style battered and fried. Cocktail sauce on the side. With Cottage Fries & Slaw. Substitute a side for fries add $1.09. Sides: Ruffles, Potato Salad or Slaw. Substitute Garden Salad add $2.09. *Fries in the Baskets & Beans and Rice on the Plates may be substituted for a different side. Lightly battered fresh fish filets, deep fried to a golden brown. Golden-fried shrimp. Cocktail sauce on the side. Combo of both Fish Basket & Fried Shrimp Basket. Two cakes loaded with all real crab, seasoned just right & grilled to perfection. Served with our own Honey Mustard sauce. Coconut coated fried shrimp with Sweet Chili sauce on the side. Golden tender strips of clams with Cocktail sauce. With One Side - Sides: Ruffles, Cottage Fries, Potato Salad or Slaw. Substitute Garden Salad add $2.09. Grilled or Blackened upon request. Fried Fresh Fish on grilled whole wheat bread with Swiss cheese, 1000 Island & tomato. Choose: Grilled, Blackened, or Fried with lettuce, tomato and our Tartar sauce on the side. Grilled to perfection with Swiss, sauerkraut & 1000 Island dressing. with lettuce, tomato & Tartar on a bun. Topped with lettuce, tomato & special sauce. Tartar sauce served on the side. A BIG Hot Dog for a BIG Appetite! Onions & relish upon request. A Super Dog with your choice of melted Swiss, Provolone or American cheese. A definite treat! Super Dog Smothered in Our famous HOMEMADE CHILI. Knife & fork required! American cheese & onion upon request. Super Dog covered with sauerkraut. Freshly made 1/4 lb. grilled or 1/2 lb. char grilled. All sandwiches are served with your choice of one side. Sides: Ruffles Chips, Cottage Fries, Potato Salad or Slaw. Substitute Garden Salad add $2.09. This double 1/4 lb. cheeseburger with lettuce, tomato, onion & mayo on a lightly toasted bun is sure to satisfy any HUNGRY appetite! It's no Ordinary Burger, topped with grilled onions on grilled Rye bread with melted Swiss cheese. We can add lettuce & tomato upon request. On a bun with lettuce, tomato, mayo and onion. NEW! Sides: Ruffles Chips, Cottage Fries, Potato Salad or Slaw. Substitute Garden Salad add $2.09. 1/4 lb. Thin sliced USDA Choice Sirloin Steak, grilled until tender, then topped with sauteed onions & served on a lightly heated Hoagie Roll. Steak with melted Provolone & sauteed onions. Steak with sauteed onions, melted Provolone, lettuce & tomatoes. Topped with our own "Special Sauce." Steak with onions & mushrooms. Topped with melted Provolone. Steak with our own Pizza sauce, sauteed onions & melted Provolone. Steak smothered in sauteed onions, green peppers, mushrooms, Pizza sauce & melted Provolone. Chicken tenders placed on a toasted bun then topped with Swiss & Lettuce. Ranch dip on the side. A nice portion of golden chicken fingers served with Cottage fries, sliced tomatoes drizzled in "Special Sauce" with Ranch dip. Chicken breast grilled & topped with B-B-Q sauce, bacon, Provolone, lettuce, tomato & mayo on a bun. Pulled pork southern style piled on a toasted bun. Thin sliced Corned beef layered high with melted Swiss cheese, 1000 Island and sauerkraut. Two kinds of cheese on white bread. Whole wheat & rye available. Pita Bread Sandwiches are served with pickles & your choice of a side. Sides: Ruffles Chips, Cottage Fries, Potato Salad or Slaw. Substitute Garden Salad add $2.09. Our Own "Special Sauce" is our homemade Italian style Garlic & Herb vinaigrette. Take some home today! All Pitas are available on a Hoagie Roll, Sliced Bread or Bun. We've served 'em for years! Two kinds of Cheese, Cucumbers, Onions, Lettuce, Mayo, Tomatoes & Arugula. Topped with our own "Special Sauce." Fresh sliced Turkey & plenty of it! Mayo, Shredded Lettuce & Tomatoes. Topped with our own "Special Sauce." A Combination of the Turkey & Veggie Saucers. Topped with our own "Special Sauce." Sliced Turkey Breast with Mayo, a few Raisins, Onion Slices, Lettuce, Tomato and Provolone. Topped with Swiss Cheese and Heated. Sliced Turkey Breast, Bacon, Provolone Cheese, Guacamole, Arugula, Lettuce, Tomato & Mayo. Topped with our own "Special Sauce." Fresh Pita Bread filled with Ham, Turkey, Bacon, Mayo, Provolone Cheese, Sweet Onions, Shredded Lettuce & Red Ripe Tomatoes. Topped with our own "Special Sauce." M-M-M-GOOD! Homemade Tuna Salad with Mayo, Onion, Celery, Apples served in a Pita with Lettuce & Tomatoes. Topped with our own "Special Sauce." Dressings: Our House Garlic & Herb Vinaigrette, Ranch, Thousand Island, Blue Cheese, Honey Mustard, Oil & Vinegar or Caesar. Romaine heart, tomato, cucumber & onions. As a substitute for a side with any meal add $2.09. Fresh salad nestled in a bed of shredded iceberg lettuce with tomatoes, onions, cukes, arugula, pickles & pepperoncini along side. Sub shredded iceberg if you like. Freshly ground conch mixed into a delicious Bahamian style spicy salad & served over lettuce in a bowl with crackers along side.